On 31 December 1921, Tércio Mariano de Rezende, the Guinness record holder as the world's oldest footballer, was born in Brazil. A right back, Mariano started playing for his local club, Goiandira Esporte Clube, in 1973 when he was 52 years old. 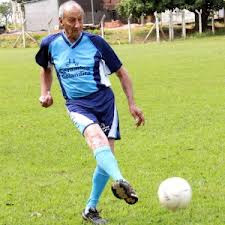 He was still playing there in 2008 when, at the age of 87, the Guinness Book of World Records listed him as the world's oldest footballer. A farmer who walks 10 kilometers every morning, Mariano rejected suggestions that he was too old to continue, saying "as long as I have legs, I will play." And even though sidelined at times by injuries, including a dislocated shoulder and surgeries to his neck and back, he continued to play until he passed away in March 2015 at the age of 93. On 30 December 1999, the British government finally decorated the "forgotten five" from England's World Cup-winning team, awarding them all MBEs. 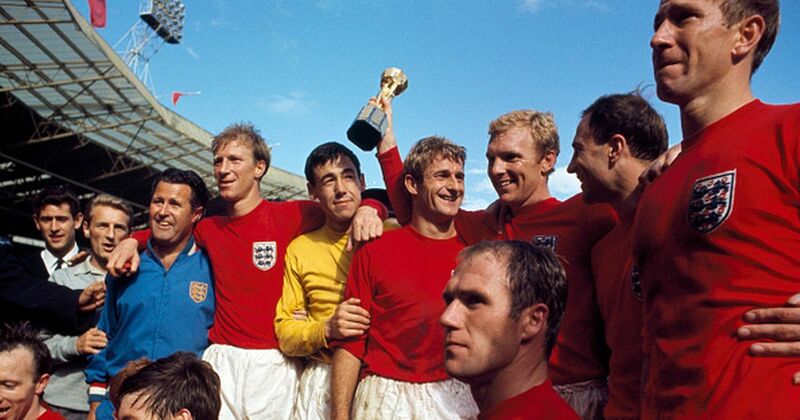 Over the years following England's win over West Germany in the 1966 World Cup Final, most of the players from that match, along with manager Alf Ramsey, received official recognition from the British government, starting in 1967 with Ramsey's knighthood and captain Bobby Moore becoming an Officer of the Order of the British Empire (OBE). Bobby Charlton received his OBE in 1969 (then became a Commander of the Order (CBE) in 1974 and received a knighthood in 1994), followed by OBEs for Gordon Banks in 1970 and Jack Charlton in 1974. In 1978, Martin Peters became a Member of the Order (MBE), as did Geoff Hurst in 1979 (Hurst was later knighted in 1998). By 1999, however, five players from the 1966 final--Nobby Stiles, Alan Ball, Roger Hunt, Ray Wilson, and George Cohen--had not been honored, even though all of them but Ball had appeared in every match of the tournament (Ball missed the last two games in the group stage), and Hunt had scored three goals. 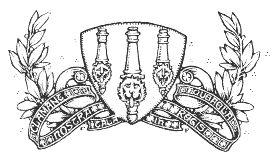 But thanks to a push driven in part by the football media, those omissions were corrected at the end of 1999, with all five being made Members of the Order. 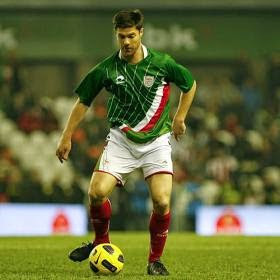 On 29 December 2001, Xabi Alonso made his full international debut. And it wasn't for Spain. The 20-year old midfielder, then in his second season with Real Sociedad, had played for the Spanish U-18s, making a solitary appearance in 2000. Although he had not taken the pitch for them since then, Alonso, who was born in the Basque city of Tolosa, also qualified to play for the Basque Country national team. And in 2001, manager José Ángel Iribar called Alonso up for a friendly against Ghana. The teams met at the Estadio San Mamés in Bilbao, where the visitors took an early lead with a goal from midfielder Derek Boateng in the 13th minute. Alonso remained on the bench for the first half, then came on at the start of the second with the Basques still down 0-1. Alonso's entrance, along with several other subs made at the same time, turned the tide for the home side. They equalized in the 46th minute with a strike from Jon Pérez, then got two goals from Óscar de Paula (60', 67') to lead 3-1. Ghana's Alex Takyi-Mensah pulled one back in the 70th minute, but that was the last of the day's goals and the Basques won 3-2. Although he played primarily for Spain, with 114 appearances between 2003 and 2014, he made four other appearances for the Basque Country, most recently in 2012. 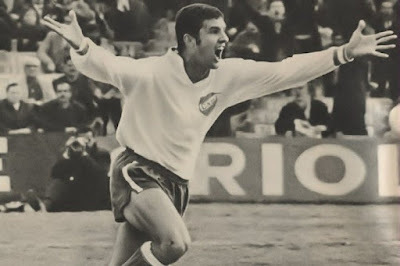 On 28 December 1971, a brace from striker Luis Artime helped Nacional claim their first Intercontinental Cup, beating Panathinaikos 2-1. Nacional qualified for the competition by winning the 1971 Copa Libertadores and were scheduled to play European Cup holders Ajax. But they Dutch declined, so Panathinaikos, who lost to Ajax in the European Cup final, took their place. They played the first leg in Greece on 15 December, where a second-half equalizer from Artime (pictured) secured a 1-1 draw. The teams then met thirteen days later in Uruguay for the second leg. 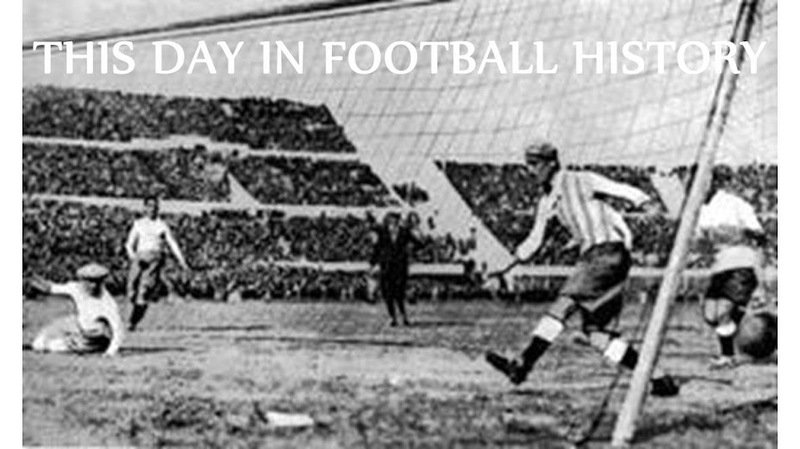 Playing in front of a crowd of about 63,000, Artime continued to find the net for Nacional, putting them up 2-0 with goals in the 34th and 74th minutes. Antonis Antoniadis scored for Panathinaikos in the 89th minute, but it was too late for a rally and the series ended 3-1 to Nacional on aggregate. It was the first of three Intercontinental Cups for Nacional, who won it again in 1980 and 1988. On 27 December 2009, Hibernian's Anthony Stokes scored the SPL's fastest goal, but it did not help them much. The well-traveled striker, who had spent time at five different clubs over the previous four years, was in his first season with Hibs after joining them from Sunderland that August. By mid-December, he had helped the club to a 12-game unbeaten streak that saw them take the table's third spot. They were hoping to extend the run to 13 when they hosted first-place Rangers at Easter Road. And Stokes gave those hopes a boost when he found the back of the net after just 12.4 seconds, setting an SPL record. But Rangers took command of the game and were leading 1-2 at the break with goals from Kenny Miller (21') and Kris Boyd (37'). They continued to dominate in the second half, with Nacho Novo extending the visitors' lead to 1-3 in the 53rd minute before Miller's second goal of the day (66') completed the rout at 1-4. Stokes went on to have a fantastic year, scoring 21 goals in 37 league appearances. Labels: Anthony Stokes, Hibernian F.C., Kenny Miller, Kris Boyd, Nacho Novo, Rangers F.C. On 26 December 1999, Chelsea became the first British team to field an all-foreign starting XI. And it worked out pretty well for them. 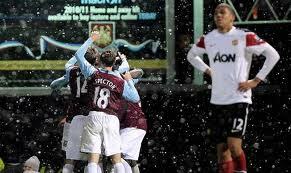 The occasion was a Premier League match against Southampton at the Dell. The line-up decision was not entirely in the hands of manager Gianluca Vialli, as a breakout of the flu deprived him of several regular selections, including striker Chris Sutton and midfielder Dennis Wise, both of whom were English internationals (Wise was the club's player of the year in 1998). To fill in the gaps, Vialli fielded a starting eleven that consisted of Ed De Goey (Netherlands), Albert Ferrer (Spain), Frank Leboeuf (France), Emerson Thome (Brazil), Dan Petrescu (Romania), Celestine Babyaro (Nigeria), Gus Poyet (Uruguay), Didier Deschamps (France), Roberto Di Matteo (Italy), Gabriele Ambrosetti (Italy), and Tore André Flo (Norway). It was the the first time in the history of British football that a team put out a starting line-up without a single British player. Chelsea went on to win 1-2, with Flo (pictured) scoring both of their goals (18', 43'), while Southampton's goal was an 80th-minute consolation strike from Kevin Davies. The all-international eleven ended in the 74th minute, when Vialli brought Englishman Jon Harley on for Ambrosetti (and then Jody Morris, another Englishman, came on for Petrescu in the 87th minute). On 25 December 1916, Bethlehem Steel met Ben Millers in a match that was supposed to determine the capital of US soccer. It ended in a draw. At the time, US soccer was split into two major regions, the northeast and the midwest (specifically, St. Louis), each with its own self-contained league. And although the country had a couple of tournaments open to all clubs, the American Cup and the National Challenge Cup, few teams from St. Louis participated, leaving an open question of which area produced the better football. In 1916, Bethlehem Steel, the Pennsylvania-based reigning champions of both the American and National Challenge Cups and unquestioned leader of the northeast, made the trip across the country to settle the debate. They arrived in Chicago for a match against a local "best XI" and won 1-2 on 23 December, then moved on to play a St. Louis all-star team on 24 December and lost, 3-1. It was their first loss in 19 games. On the following day, 25 December, Bethlehem took the pitch again, this time against St. Louis team Ben Millers, the title holders of the St. Louis Soccer League. Playing in front of a crowd of 6,000, the visitors went up 0-1 with a goal from forward Harry Ratican (pictured) (Ratican, coincidentally, had been born in St. Louis and played for Ben Millers from 1911 to 1916). But after a penalty for Ben Millers and a pair of second-half goals, the match ended as a 2-2 draw. The result did not stop the local press from claiming the soccer title for St. Louis, based on the two-game series (and claiming some credit Ratican's performance). 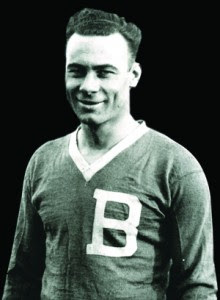 Bethlehem continued to dominate, however, winning five American and National Challenge Cups over the next three years, while Ben Millers went on to win the National Challenge Cup in 1920. On 24 December 2010, Inter announced their new manager, taking former Milan hero Leonardo away from their rival club. A World-Cup winning Brazilian international, Leonardo made 119 appearances for Milan from 1997 to 2001, then another five in the 2002-03 before calling an end to his playing career. 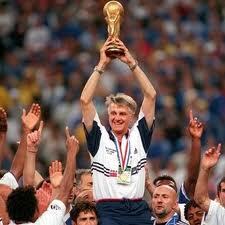 While there, he won the 1999 Scudetto and the 2003 Coppa Italia. In 2008, he returned to the club in the position of technical director, then took over as manager in June 2009 after the departure of boss Carlo Ancelotti to Chelsea. But he failed to lift the Rossoneri's fortunes and rumors of an early departure swirled throughout the season. Finally, in April 2010, the club confirmed that Leonardo would depart at the end of the season. At the time of his departure from Milan, Inter had made a change of their own, replacing departing manager José Mourinho with former Liverpool boss Rafa Benítez. But that hire lasted only six months, as a split between Benítez and the Inter board, fueled in part by the new manager's inability to live up to the standard set by Mourinho, led to his dismissal in December 2010. Inter then brought Leonardo in to fill the vacant position, making him the fifth manager to switch from Milan to their derby rivals. His time at Inter lasted even less than at AC Milan, however, ending with his resignation in June 2011. One month later, he joined Paris Saint-Germain as their director of football, where he remained until 2013. On 23 December 2002, having already beaten the Philippines by 12 goals to set a national team record, Indonesia did it again. Indonesia had dominated the series since the teams' first meeting in 1958, including a crushing 12-0 victory in in 1972 that set the record for their biggest winning margin. Then, in 2002, they met in the group stage of the Tiger Cup. It was the last match of Group A, with the Philippines already eliminated and Indonesia needing a win to claim the last semifinal spot. Playing at the Gelora Bung Karno Stadium in Jakarta, the hosts went ahead in just the first minute with a goal from striker Bambang Pamungkas (pictured). By halftime, both he and fellow striker Zaenal Arif had hat-tricks and Indonesia were up 7-0 (the other goal was scored by Budi Sudarsono). The goals continued to pile up in the second half, with Bambang and Zaenal both extending their totals to four each, while Sugiantoro and Imran Nahumarury scored as well. The Philippines finally got a goal from striker Ali Go in the 78th minute, but gave one back with an own goal from Solomon Licuanan ten minutes later to set the final scoreline at 13-1. Indonesia advanced and eventually reached the final where they lost to Thailand on penalties. On 22 December 2010, the Brazilian Football Confederation shook up the Brazilian top flight by officially recognizing the winners of past tournaments as national champions. Although Brazilian football dates back to the 1890s, a formal national league system did not exist until 1971. Prior to that, teams competed in regional and local leagues, as well as a couple of national tournaments, the Taça Brasil (not to be confused with the Copa do Brasil), played from 1959 to 1968, and the Torneio Roberto Gomes Pedrosa, also known as the Taça de Prata, played from 1967 to 1970. In 1971, the Taça de Prata became the Campeonato Brasileiro, the current league system, of which Série A is the top flight. Initially, the CFB recognized only the Série A winners as national champions, which meant that, as of 2010, São Paulo's six league titles were the most of any team, followed by Flamengo's five (Flamengo claims a disputed sixth title from 1987, though the CFB does not recognize it). 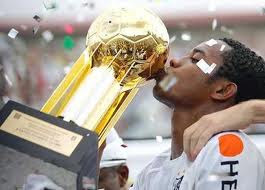 But in 2010, a handful of clubs, including Palmeiras and Santos, petitioned the CFB to recognize the winners of the earlier competitions as national champions. Not coincidentally, the change meant that Palmeiras and Santos each had a shared-record eight combined titles, ahead of Sáo Paulo, who were still stuck at six. Palmeiras won the league in 2016 to extend the record to 9. On 21 December 1996, Saudi Arabia won their record-setting third AFC Asian Cup, beating the UAE on penalties. It was the first final for the UAE, but the fourth for the Saudis, who won the tournament in 1984 and 1988, then finished as runners-up in 1992. The final was part of a double-header at the Sheikh Zayed Stadium in Abu Dhabi, where Iran won the earlier third-place match in a penalty shootout against Kuwait (although Iran missed their first attempt Kuwait missed the last three of their five kicks to lose 1-1 (3-2)). The crowd of 60,000 stayed for the final and watched the two teams play to a scoreless draw before going into another shootout--the third consecutive one of the tournament, as Saudi Arabia beat Iran on penalties in the last semifinal. The experience may have provided an edge, as Saudi Arabia--anchored by goalkeeper Mohamed Al-Deayea (pictured)--went on to win the shootout in the final, 2-4. At the time, Saudi Arabia's three titles matched the record set by Iran in 1976. Since then, however, Japan has taken sole possession of the record with four championships between 1992 and 2011. On 20 December 2004, German striker Birgit Prinz repeated as FIFA World Player of the Year despite having what, for her, was a down year. She had claimed her first World Player of the Year award in 2003, after leading Germany to victory in that year's World Cup and winning a German league and cup double with Frankfurt. But in the 2003-04 season, despite a strong performance from Prinz, Frankfurt finished as runners-up in the Bundesliga and the UEFA Women's Cup. She continued to shine for the national team, scoring 14 goals in 14 matches that year, but ended 2004 without a single team trophy. Nevertheless, she was a clear favorite for the FIFA World Player of the Year award, finishing with 376 votes, well ahead of second-place finisher Mia Hamm (286). Prinz won the award for a third time in 2005 after taking another league title with Frankfurt and the European Championship with Germany. On 19 December 2004, Santos won a record-tying eighth Brazilian league title, beating Vasco da Gama on the season's last day. Santos had been the most dominant Brazilian team of the 1960s, winning six league titles between 1961 and 1968. But the four following decades were relatively barren in terms of major trophies (though they did win the 1998 Copa CONMEBOL). They started a resurgence in the early 2000s, winning a seventh title in 2002, then finishing as runners-up in 2003. In 2004, led by their top scorers Deivid de Souza (22 goals) and Robinho (21), they started the season's last day in the top spot, one point ahead of Atlético Paranaense. Atlético were at home against relegation-threatened Botafogo, while Santos were at home against Vasco, who were stuck firmly in mid-table. Needing a win to ensure their title, Santos got off to a quick start with a goal from Ricardinho in the 5th minute. Elano then doubled the lead in the 30th minute. Marco Brito pulled one back for the visitors in the 61st minute, but it was their only goal and the match finished as a 2-1 Santos win. It was their eighth league title, matching the record set by Palmeiras in 1994. Palmeiras reclaimed the record in 2016, however, by winning a ninth title. Labels: CR Vasco da Gama, Deivid de Souza, Elano, Marco Brito, Ricardinho, Robinho, Santos F.C. On 18 December 2005, São Paulo won the FIFA Club World Cup, beating Liverpool 1-0 with a goal from Mineiro. FIFA first held the competition--initially called the Club World Championship--in 2000, but did not establish it as a regular tournament until 2005, when it merged with the Intercontinental Cup. Unlike the Intercontinental Cup, though, which matched the Copa Libertadores champions against the European Cup/Champions League winners, the 2005 Club World Cup expanded the competition to a six-team mini-tournament that included the winners from similar CONCACAF, Oceania, CAF, and AFC competitions. While the rest of the teams entered in the quarterfinals, São Paulo and Liverpool received byes into the semis, where they defeated Al-Ittihad and Saprissa, respectively, to set up their meeting in the final, played before a crowd of 66,821 at the International Stadium in Yokohama. Although Liverpool had just set a club record eight days earlier with their tenth consecutive clean sheet, they were undone in the 27th minute when midfielder Mineiro (pictured) slipped behind the Liverpool defense to reach a lobbed pass, then beat goalkeeper Pepe Reina from just inside the penalty spot. Liverpool pressed for an equalizer and found the back of the net three times, only for the referee to disallow all three goals. The lone strike from Mineiro proved to be the difference and São Paulo lifted the cup. 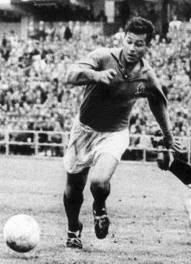 On 17 December 1953, striker Just Fontaine scored a hat-trick on his debut for France, but still didn't get another cap for three years. Twenty years old at the time, Fontaine was mid-way through his first season with Nice after spending the first three years of his career with Casablanca, where he scored 62 goals in 48 appearances. He got off to an equally strong start at Nice, leading to his call-up for a World Cup qualifier against Luxembourg. The match was inconsequential, as Les Bleus had already qualified for the tournament ahead of Luxembourg and the group's other member, Ireland, leading the French selection committee to field a team composed entirely of players making their first national team appearance. But playing before a crowd of 20,146 at the Parc des Princes in Paris, they were motivated to make a strong showing and close out their campaign with a perfect record. Jean Desgranges got the scoring started in the second minute, followed by a quick brace from Jean Vincent (6', 10'). Fontaine scored in the 21st minute and France took the 4-0 lead into the break. In the second half, Jacques Foix scored in the 57th minute before Fontaine completed his hat-trick with goals in the 75th and 80th minutes. Desgranges added another in the 88th minute to set the final margin at 8-0 for France. Despite the strong performance, Fontaine waited until 1956 to get his second cap and 1957 for his third. 1958 turned out to be his breakout year, though, as he led all scorers in that year's World Cup with thirteen goals as France claimed third place. On 16 December 1990, 19-year old midfielder Josep "Pep" Guardiola made his Barcelona debut in a 2-0 win over Cádiz. Having joined the club's youth academy seven years earlier, Guardiola started as a right midfielder before manager Johan Cruyff saw him in a reserve match and moved him to a central position. He quickly adapted to his new responsibilities and was called up to the first team for a friendly against Banyoles in May 1989. Then, in December 1990, Cruyff gave Guardiola his competitive debut in a league match at home against Cádiz. A crowd of 75,000 witnessed the occasion, causing the young midfielder to suffer a small bout of nerves while waiting to take the pitch. But once there, he played well with a grit and determination not to make a mistake (he did pick up a yellow card in the 33rd minute for a foul on an opposing player). Barcelona won the match 2-0 with goals from Txiki Begiristain and José Maria Bakero, then went on to win the league. Guardiola made only four other appearances that season, but established himself as a regular the following year and helped the team to another five league titles, two Copa del Rey trophies, and one European Cup before leaving for Brescia in 2001. He returned to the club in 2007 as an assistant manager, then took full reins of the team from 2008 to 2012, winning another fourteen trophies including three league titles and two Champions League trophies. On 15 December 2001, Tottenham striker Les Ferdinand scored the Premier League's 10,000th goal, helping to deliver a win for his team and £10,000 to charity. The milestone goal came during a match against Fulham at White Hart Lane in the Premier League's tenth season. Ferdinand, who had been a prolific scorer at QPR and Newcastle, was in his fifth year with Spurs, but had failed to recapture his previous form. He scored ten goals for Tottenham across all competitions in the 2000-01 campaign, the first time he had cracked double digits for them. Against Fulham, however, he got off to a quick start, scoring in the 20th minute to put Spurs up 1-0. Thanks to the Tottenham defense--anchored by goalkeeper Neil Sullivan, who kept a clean sheet--it was the only goal they needed, but they got a trio of insurance goals from Darren Anderton (40', from a Ferdinand assist), Simon Davies (71'), and Sergei Rebrov to set the final margin at 4-0. To commemorate the landmark goal, the Premier League awarded Ferdinand £10,000 for donation to the charity of his choice. He selected two cancer charities, splitting the money evenly between them. Labels: Darren Anderton, Fulham FC, Les Ferdinand, Sergei Rebrov, Simon Davies, Tottenham Hotspur F.C. On 14 December 1986, Dennis Bergkamp made his professional debut, coming on as a late substitute for Ajax against Roda JC. 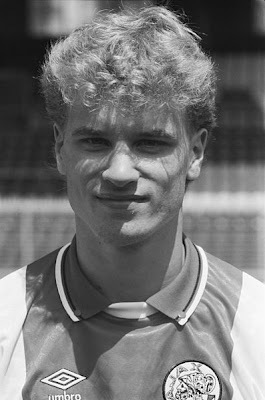 Born in Amsterdam in 1969, Bergkamp joined the club's youth academy in 1981. He was 17 when he made that first professional appearance at home against Roda, as manager Johan Cruff subbed him in for Rob Witschge in the 66th minute. Ajax were already up 2-0 at the time and that turned out to be the final score. 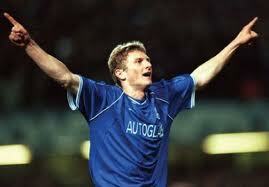 The striker remained with the club for seven seasons, scoring 122 goals in 237 appearances across all competitions. Along the way, he won one Eredivisie title (1990), two KNVB Cups (1987, 1993), one UEFA Cup (1992), and one UEFA Cup Winners' Cup (1987) before moving to Inter for a transfer fee of £7.1 million. He never settled at Inter and left after two seasons for Arsenal, where he regained his previous form. He went on to become one of the club's most highly regarded players, making 425 appearances and winning multiple league titles (1998, 2002, 2004) and FA Cups (1998, 2002, 2003, 2005) before his retirement in 2006. On 9 December 2009, Queens Park Rangers suspended manager Jim Magilton for allegedly head-butting one of his own players. The incident occurred in the tunnel after QPR's away loss to Watford two days earlier. It was their third loss in four games, dropping the team into tenth place and putting pressure on Magilton (pictured), who was in his first season as QPR boss. According to reports, the manager got into an altercation with Rangers midfielder Ákos Buzsáky, then head-butted him. (Coincidentally, he was the second manager in England to be accused of head-butting a player, with the other being Stoke's Tony Pulis). The club announced the suspension on 9 December with immediate effect and promised an internal investigation. Magilton admitted to having a disagreement with Buzsáky, but denied head-butting him, saying that the reports were incorrect and that he looked forward to reinstatement upon the completion of the club's investigation. 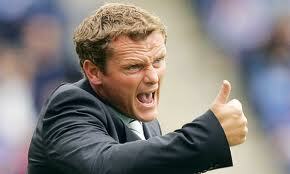 One week later, on 16 December, Magilton left his post as QPR manager. Labels: Ákos Buzsáky, Jim Magilton, Queens Park Rangers FC, Watford F.C. On 8 December 1985, Juventus won the Intercontinental Cup on penalties over Argentinos Juniors, becoming the first--and so far only--team to win all of their possible major trophies. Playing before a crowd of 62,000 at the National Stadium in Tokyo, Argentinos forward Carlos Ereros opened the scoring by chipping Juventus goalkeeper Stefano Tacconi in the 55th minute. The sides then traded a pair of disallowed goals before Michel Platini brought Juventus level with a 63rd-minute penalty kick. Soon afterward, Platini found the back of the net with a brilliant move, lifting the ball over a defender with his right foot, then firing home with his left, but the referee disallowed it because another Juventus player was offside. Instead, Argentinos took the lead in the 75th minute when José Antonio Castro scored from a tight angle into the far side of the net. Not to be outdone, Juventus forward Michael Laudrup scored from a equally narrow degree seven minutes later. Locked at 2-2, the match went into a penalty shootout. 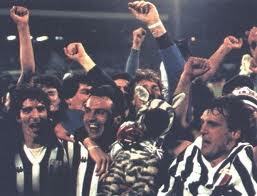 After a miss from Laudrup and two from Argentinos, Platini converted the final kick to give Juventus the trophy. It marked a complete silverware collection for the team from Turin, who had already won all of the domestic and European competitions available to them. Playing at Dinamo's Stadion Maksimir, the hill grew even steeper after Zagreb took the lead with a 40th-minute goal from midfielder Mateo Kovačić (despite losing midfielder Jerko Leko to a 28th-minute red card). But Bafétimbi Gomis equalized for Lyon just before the break. The second half belonged to Lyon. By the 70th minute, they were up 1-6 with a goal from Maxime Gonalons (47'), one from Lisandro López (64'), and three more from Gomis (48', 52', 70'). At the same time, Real Madrid were on top of Ajax 0-2, bringing Lyon level with the Dutch on goal differential. Then Jimmy Briand pushed Lyon ahead with a final goal against Zagreb in the 75th minute and Real Madrid added another against Ajax in stoppage time to put Ajax's differential at zero and Lyon's at +2. Lyon's reward for the improbable result was a trip to the Round of 16, where they were eliminated on penalties by APOEL. 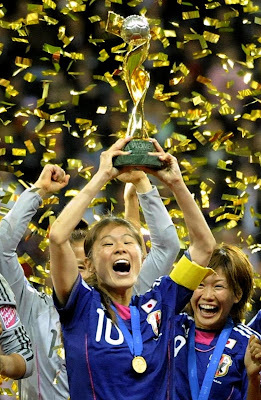 On 6 December 1993, Homare Sawa earned her first cap for Japan. She was only 15 years old at the time, but had been playing professionally for three years with L. League team Yomiura Beleza, where her performances led to her being named to the league's Best XI for 1993 and a national team call-up the same year. That first match was against the Philippines in the 1993 AFC Women's Championship. After missing Japan's opener, a 6-1 win over Chinese Taipei, Sawa delivered against the Philippines, scoring four goals in the 15-0 victory. They then went on to win their next match over Hong Kong, but were eliminated by China in the semifinals. In 2011, she captained the team to the World Cup title, then followed that by winning that year's Ballon d'Or. By the time she retired in 2015, she set the team records for appearances (205) and goals (83). On 5 December 1905, Arsenal beat a Paris XI in a friendly by the record score of 26-1. 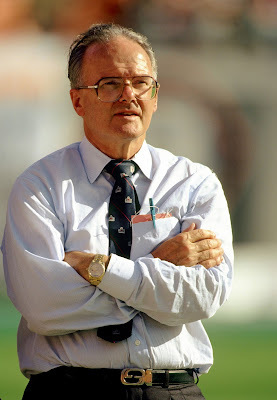 The Gunners, still known at the time as Woolwich Arsenal, were in their second season under manager Phil Kelso, who had guided them to a tenth-place league finish the previous spring. 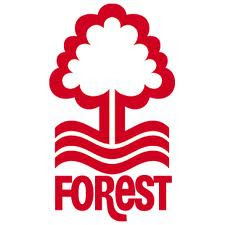 Although he was looking to improve that finish in the new season, his team had gotten off to a poor start, losing eight of their first fifteen matches. 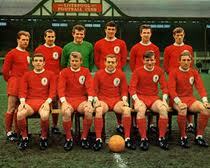 They were sitting in sixteenth place when they hosted the friendly at the Manor Ground in Plumstead. Their opponents were a collection of players based in Paris. Though no official records of the match remain, it is widely believed that the side included many members of the French national team, with one notable exception--the side was short a man, so borrowed the services of an Arsenal reserve believed to be W.J. "Chips" Hodge. It is known for certain that Arsenal won 26-1, a scoreline that remains a club record. The top scorer of the day was inside forward Bob Watson, who provided seven goals. He never displayed that kind of form in the league, however, scoring only once in ten competitive appearances for the club. One of the most inventive and dynamic players of his generation, the towering midfielder started his career with Botafogo in 1974. But spent the majority of it with Corinthians, for whom he made 297 league appearances and scored 172 goals between 1978 and 1984 and won three league titles (1979, 1982, 1984). He earned his first cap from Brazil in 1979 and went on to make a total of 60 appearances, including a spell as captain for the 1982 World Cup. Unfortunately for him, Brazil were eliminated in the second group stage of that tournament and never won a major title during Socrates' tenure, with their best finish being runners-up in the 1982 Copa America. 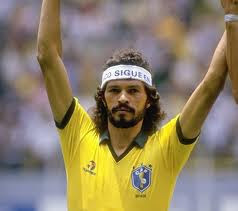 Socrates won individual awards, though, and was named the 1983 South American Footballer of the Year over Argentina's Ubaldo Fillol and Brazil's Éder. After leaving Corinthians in 1984, he spent a season in Italy with Fiorentina, then returned to Brazil to play for Flamengo, Santos, and Botafogo before retiring in 1989. Having earned a medical degree during his playing days, he became a practicing physician upon retiring from football and also wrote prolific columns on sports and politics. At the beginning of December 2011, he went into the hospital for food poisoning and died from related complications. On 3 December 1972, Juventus beat Fiorentina 2-1, conceding for the last time before a club-record run of 903 scoreless minutes. Defending league champions Juventus hosted the Serie A match, starting the day in fourth place, with Fiorentina a single point behind them. 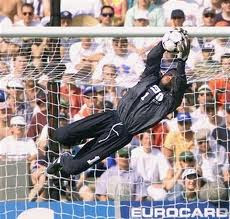 Anchored by goalkeeper Dino Zoff, the Juventus defense had given up only eight goals on the season, but had kept only two clean sheets. So it was not particularly surprising when Fiorentina striker Nello Saltutti found the back of the net in the 41st minute. Nor was a shock that Saltutti's goal was the visitors' only one of the day, as Juventus went on to win 2-1 with strikes from Helmut Haller (60') and José Altafini (70'). Nobody expected what came later, however, as Juventus went on to keep the opposition scoreless for a club-record 903 minutes covering a span of nine games with seven wins and two draws. The scoreless run ended on 18 February with a 2-2 draw with AC Milan. For the remainder of the season, those two teams battled for the Scudetto, with Juventus eventually finishing one point clear of Milan to claim their 15th national title. In March 2016, the club set the current scoreless record of 974 minutes. 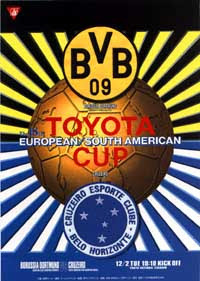 On 2 December 1997, Borussia Dortmund won the Intercontinental Cup, beating Cruzeiro 2-0 in Tokyo. It was the first appearance in the competition for Dortmund, but the second for Cruzeiro, who lost to Bayern Munich in 1976. That final had been played over two legs, home and away, with the Brazilians losing 2-0 in Germany, then playing to a scoreless draw in Brazil. 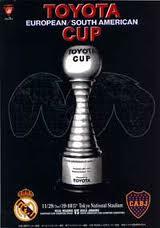 In 1980, the cup switched to a single-game format, hosted by Japan, and Cruzeiro were hoping for a better result. But, playing before a crowd of over 51,000 at Tokyo's National Stadium, it was Dortmund who took the lead with a short-range shot from midfielder Michael Zorc in the 34th minute. The ball fell to him just a few feet outside the goal and he beat keeper Dida with a stinging left-footed blast. Dida had an otherwise strong game, denying several Dortmund chances. But in the 84th minute, he was beaten by another close-range shot, this time from striker Heiko Herrlich, to end the game at 2-0. It was the last trip to the competition for either club, though Dida went on to win its successor tournament, the FIFA Club World Cup, in 2007 with AC Milan. 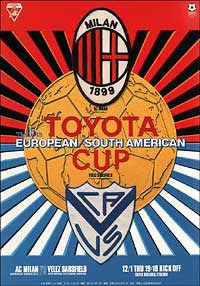 On 1 December 1994, Vélez Sársfield won the Intercontinental Cup, beating three-time champions AC Milan 2-0. It was the first appearance in the competition for Vélez, who had just won the Copa Libertadores that summer. Their opponents were the defending European Cup champions, AC Milan, who had been in the Intercontinental Cup five times, winning it three times. Their most recent appearance was in 1993, when they lost to São Paulo. So they were looking for redemption the following year against Vélez. But the Argentinians were prepared for the challenge. Playing before a crowd of almost 48,000 at the National Stadium in Tokyo, they kept them game locked in a scoreless draw at the break. Then, in the second half, they got a pair of goals in an 8-minute span to secure the trophy. The first goal came through a penalty, converted by defender Roberto Trotta in the 50th minute. In the 57th minute, forward Omar Asad scored an incredible second goal, racing into the box to intercept a poor Milan pass back to the keeper, then turning and firing into the net from a tight angle. The effort led to him being named Man of the Match and took the final score to 2-0.